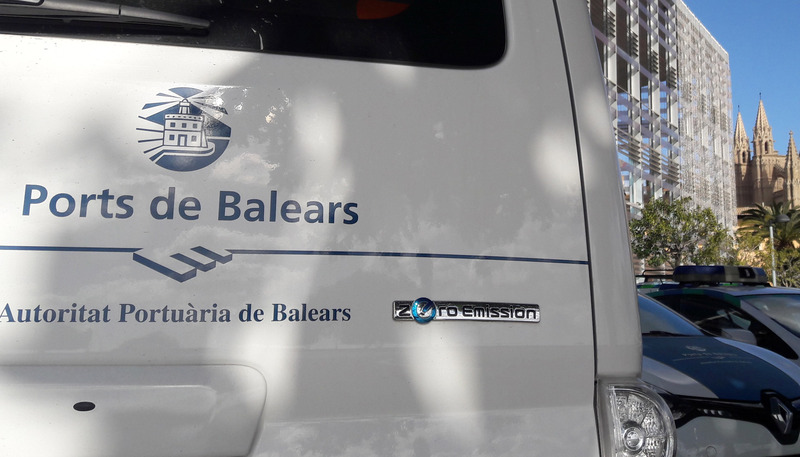 The Port Authority of the Balearic Islands (APB) has purchased four hybrid electric vehicles for use by the Port Police in the Port of Palma. In addition, they have put out to tender the purchase of five more vehicles, 100% electric, for the group of ports of general interest which it manages. This step is taken in line with its commitment to the environment and sustainability, which is established in its policy of Social Corporate Responsibility. With this acquisition, which will help to reduce the carbon footprint, the APB continues to slowly reconvert its traditional fleet of vehicles to electric and eco-friendly ones, adapting its mobile fleet to its real needs. The four hybrid vehicles are of the Toyota Prius+ model and will be kitted out to suit the needs of the Port Police. As a result, they will contain features such as the necessary police kit, which contains the sirens, pre-installation of a transmitter, first-aid kit, extinguisher, lights and different items for identification and signalling. The supply of these vehicles was tendered with a budget, including VAT, of €139,150, and has been awarded to the company Multiauto Palma S.L. for an amount, including VAT, of €138,545, which will be delivered to the APB within the maximum time of two months. With regard to the five 100% electric cars tendered by the APB, they include the following requirements: a car for institutional use in the port of Palma, a patrol car for the Port Police in the port of Mahon and three vans for the port of Ibiza. Two of these for Conservation and Maintenance and one more for the Port Police. The budget for the execution of this contract, including VAT, rises to €177,870. As a result, the total investment made by the APB in acquiring these nine vehicles, which are environmentally friendly, will rise to more than €300,000, including VAT.